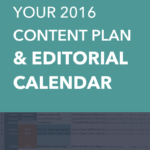 Maybe you already have a social media strategy and content strategy and plan in progress. Great! The next step is figuring out how you’ll measure it – to see if all that work is making a difference. I’m a broken record on this one, but one of the most important things to do before you begin any project is to ask: How can I measure this? We need to know if what we’re spending time on is working. Sometimes measurement is on the easier side – like when we can calculate ROI (Return on Investment) using a template for channels like paid search. Other times it’s more challenging to calculate ROI – for social media and content marketing, marketing attribution is helpful. Buy now – to give you a structure to play with metrics. However, all businesses are not the same. While it’s super helpful to have a template to use, the first step is figuring out what metrics and KPIs matter to you. Here’s a quick look at how I track success. Step 1: What are your goals? As we talked about in the first part of this series – it always comes back to this. And most of our goals are revenue based when we dig deep enough. Yes, you want to grow your community – usually so people buy X eventually. Yes, you want to more followers on Facebook – so they find your blog – an then so they eventually buy X. Revenue is almost always the main goal (it is the definition of business after-all). Combining the main goal (usually revenue) with a secondary goal (grow community etc). leads us to knowing what to measure. Step 2: What are your most important channels? You can’t be everywhere and do everything. Decide what channels to focus on most (newsletter, blog, Facebook, Pinterest, Twitter, Instagram, Google+, YouTube etc.) If you’re trying to be everywhere – and maintaining seven social networks – you’re going to have a hard time really taking off and creating an awesome community in just a few of those channels. Note: this doesn’t mean you can’t build out a basic presence so people can at least find you and for SEO purposes. Just be mindful of why you’re doing it and let people know where you’re most active. It’s ok to lead a quieter existence in some channels. For example, with Facebook changing so much in the past year, a few businesses and bloggers have made grand proclamations of anger and left Facebook – deleting their pages. I wouldn’t recommend to delete a channel as it may come back around as a more viable option later. Instead, set up a way to minimize your effort and also let your community know that they can find you more actively on Instagram or your newsletter etc.! Step 3: What KPIs actually matter to your business? The next step is figuring out what base metrics and KPIs matter to your business. One of the big things to remember is that “vanity metrics “- (like # of followers) might not be the most important metric, they are usually the building blocks for other metrics and KPIs. You need them to calculate the more important metric. Example: You need your # of followers to calculate a growth %! Google Analytics is chock full of metrics. Here are a few to give you month over month direction and insights. Referral Channels – this metric lets you know where people are coming from. You can also keep track of how these channels are growing. And in combination with Conversion Goals, this can be a super powerful way to learn about what channels you’re “best” at and what activities are contributing the most to your goals. Calculate: Google Analytics >> Acquisition>> Channels >> Organic Search, Direct, Social, Referral, Email etc. More E-Commerce – there are a lot of other e-commerce metrics beyond conversion rate – from specific products, pricing, growth, new/old, channel, advertising etc. Notes and stories – this metric is the anecdotal “quality over quantity” item. It’s really helpful to have an area in your Metrics tracking to report these little or big wins – the random stuff that’s worth mentioning. Did your referral traffic skyrocket from a random share or RT? Note it! Did you get contacted to guest blog or partner on a project? Note it! Did a customer leave a really great comment or review? Note it! These are also great items to share with the rest of your team to let them know what’s happening out there. While many social media dashboards have included “insights”, it can be helpful to track important metrics outside of the specific channel to compare and also keep your data by a monthly/weekly view – it becomes more actionable. Referral Traffic – this metric lets you know if you’re even driving people back to your website or blog. If your engagement is high (from likes, comments etc), but you’re never getting anyone to come back to your website, you’re missing a big part of the picture. Calculate: Google Analytics >> Acquisition>> Channels >> Social >> Twitter, Pinterest, Facebook Google+ etc. 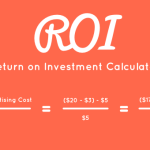 ROI Attribution – this metric is more typical if you’re selling something or doing a paid campaign (Facebook ads, Twitter ads etc.) You can also calculate how well you’re achieving your ad goal (likes, clicks etc) Calculate: see Marketing Attribution for more info on this. Notes and stories – just like blogging above, this metric is the anecdotal “quality over quantity” item. Having a newsletter is an important part of content marketing. It’s helpful to compare each of these example metrics to your average to see how you’re doing with each send. The final group of metrics that might be relevant to you are all about your business. It might be more about sales if you have a product; revenue and users if you have a service; billable hours or close rate if you are a freelancer etc. No matter what metrics you decide to track and what you pick as your KPI, just remember that you can always change it later. So begin! And if next month you decide to track something else, do that! One of the great things about Google Analytics is that you can usually go research past metrics, so it’s not too hard to re-focus your efforts. What metrics and KPIs do you track? 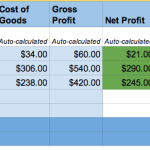 This is Part V in a series on Metrics + Measurement for Beginners. Start at the beginning with How to Measure Success of Your Marketing Campaigns. Get your own Fill-in-the-Blank Marketing KPI Dashboard – a spreadsheet download that includes: ROI Calculator, Sample Marketing Campaign Results Generator, Marketing Campaign ROI Tracker, and Monthly/Weekly Metrics Dashboards. 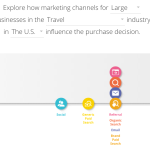 Where is email marketing on your customer path to purchase? 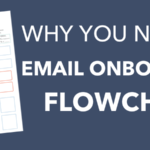 Email Frequency – How Often Should You Send? © 2019 Early Bird Strategy, LLC.